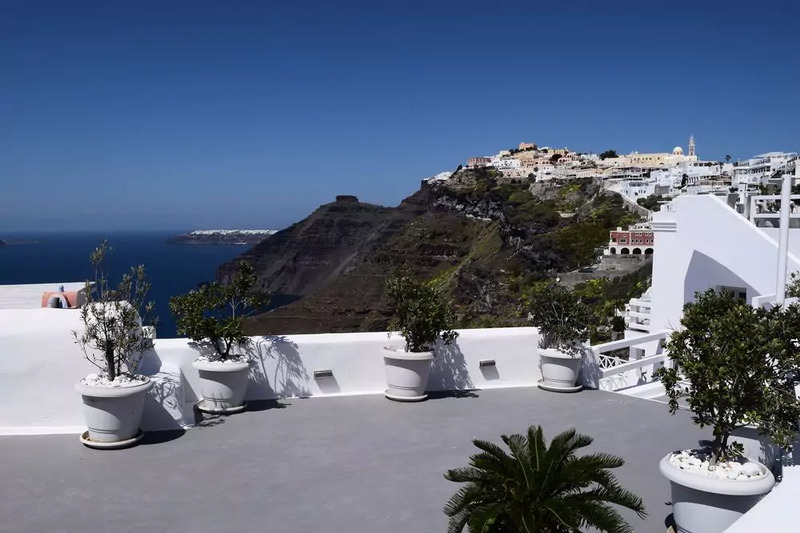 Description: Revelis Villa and Canava offer a great location overlooking the Caldera in Fira Town making them a perfect choice for those that like to have everything on their doorstep. 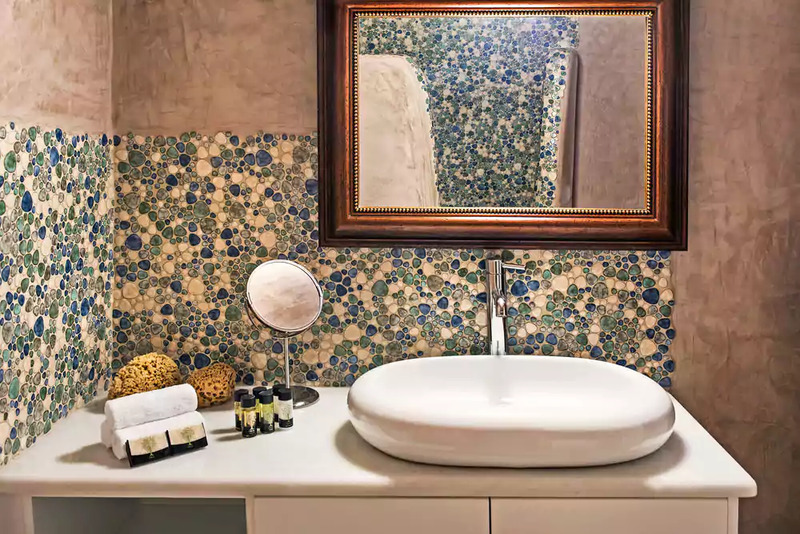 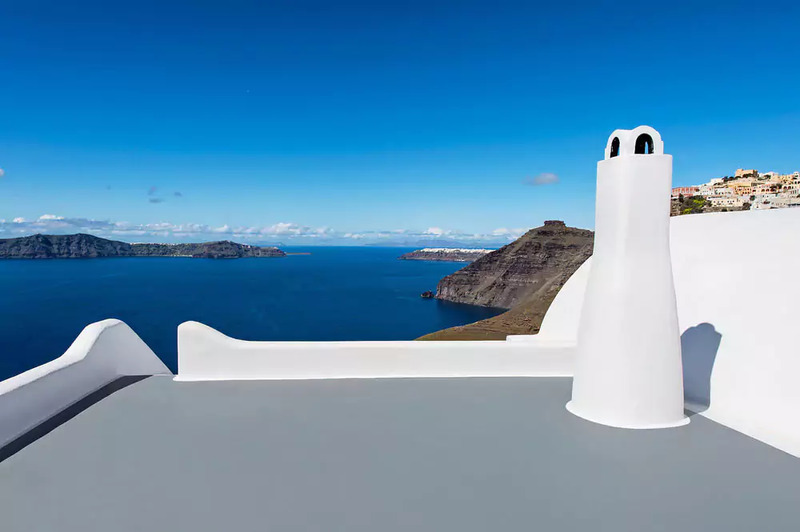 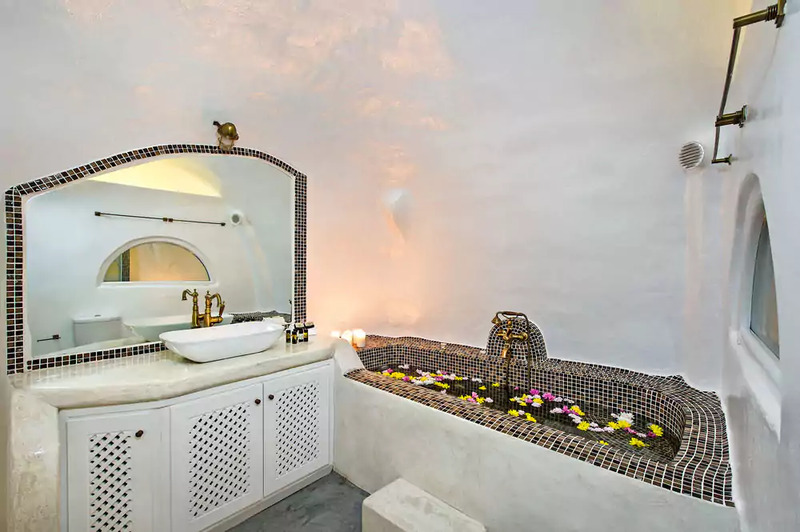 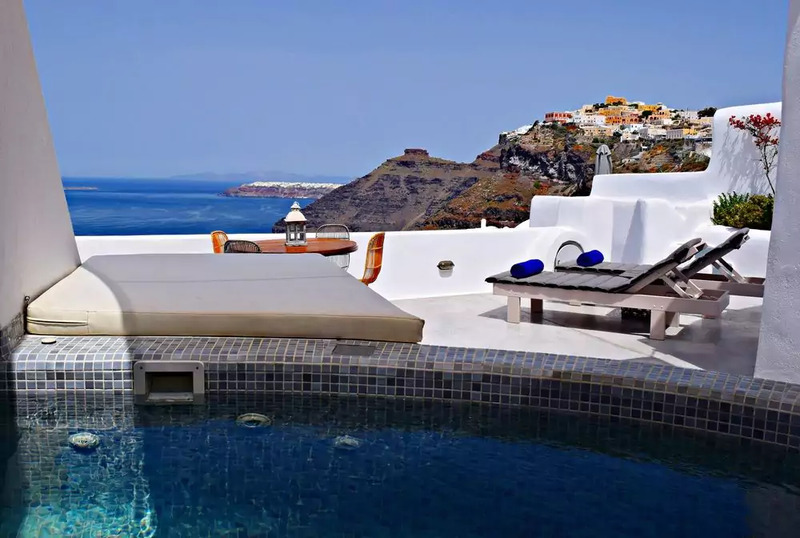 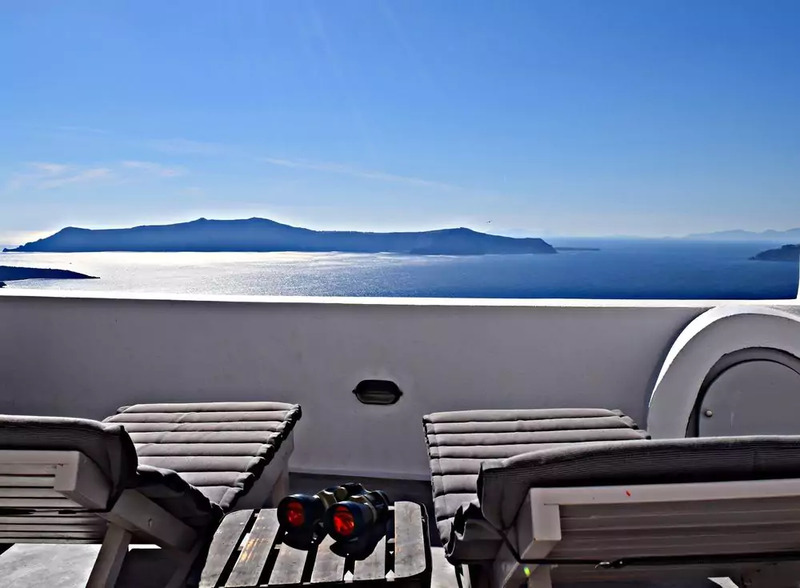 The villa features a privately heated jacuzzi tub and has direct views of the caldera from the main terrace, the house can accommodate up to 6 guests in 3 double bedrooms. 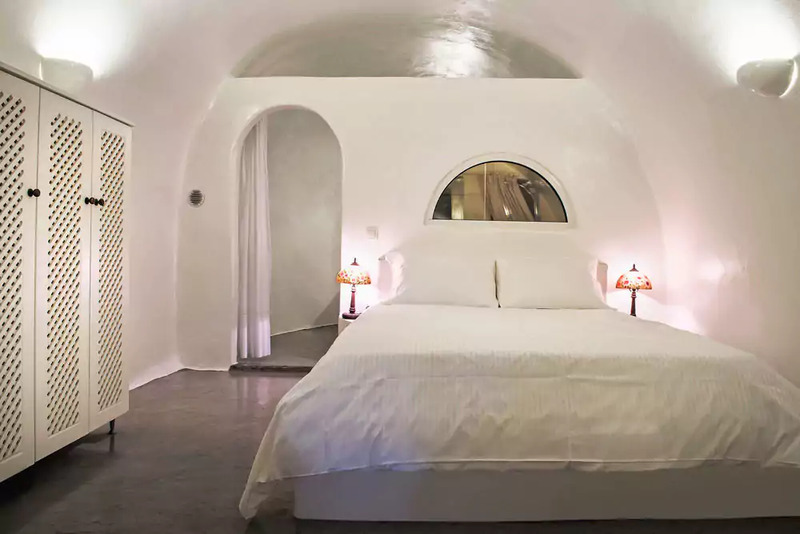 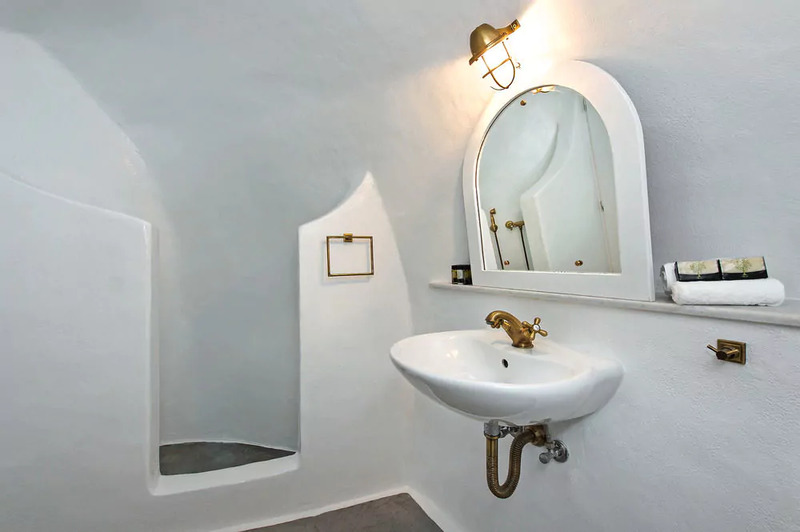 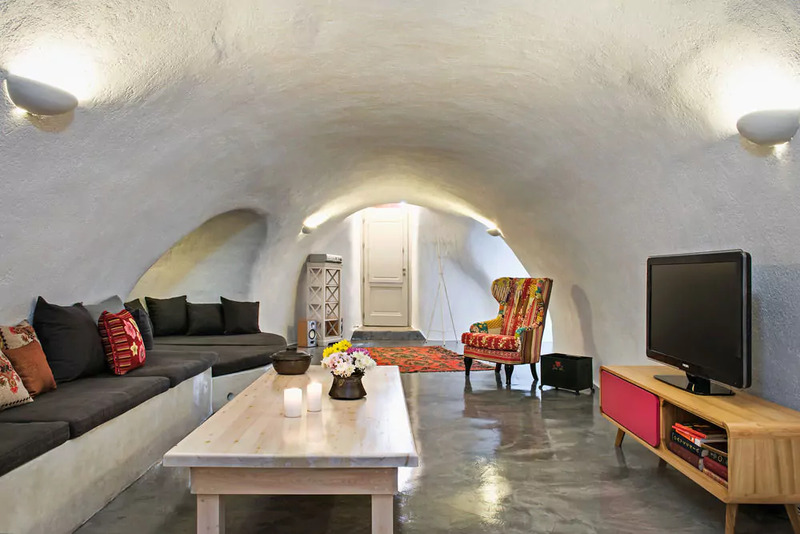 The Canava is a delightful cave house which has been converted with some style and offers a truly unique experience, staying in a real cave house. 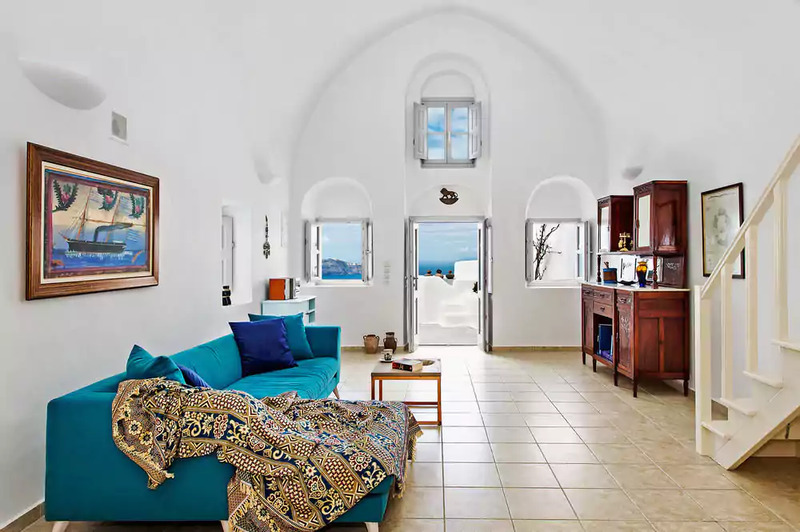 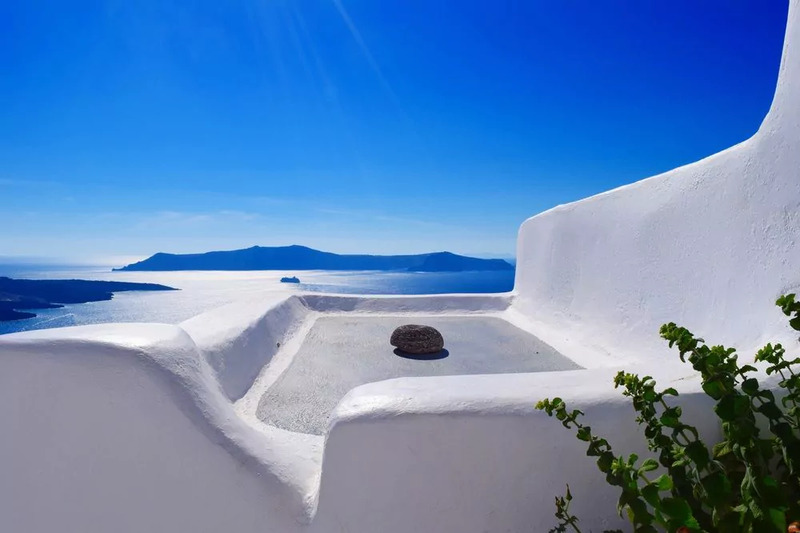 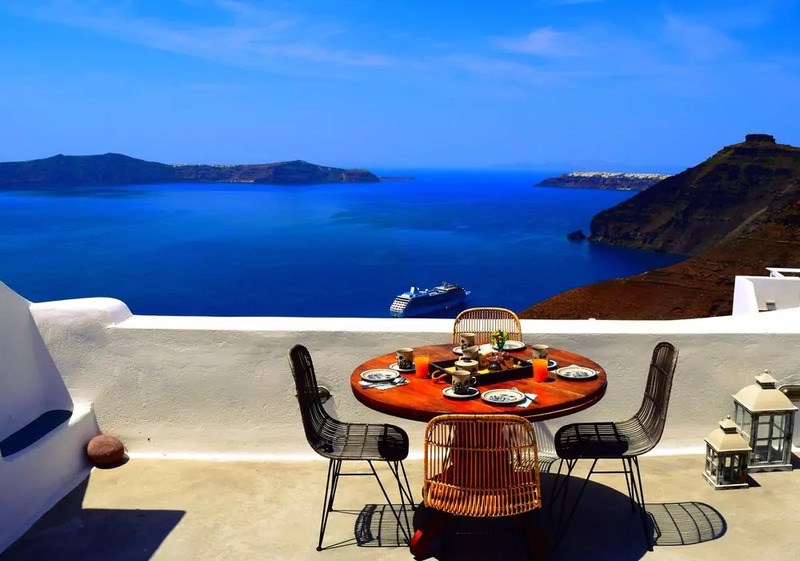 Both properties are furnished to a very high standard with a comfortable living area, fully equipped kitchens and also offering a private terrace to enjoy a light meal or a glass of wine while watching the famous Santorini sunsets. 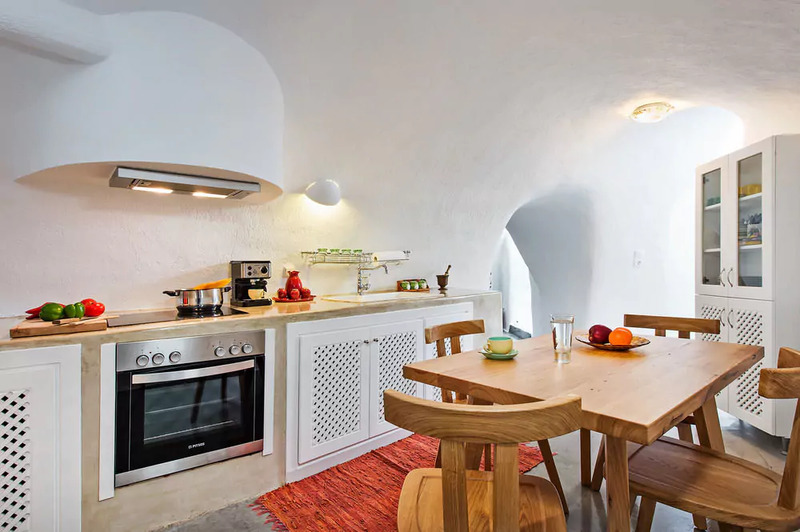 Both properties feature air conditioning, WiFi connection, Sat TV, Espresso Coffee maker, Microwave, Daily maid service, and concierge service. 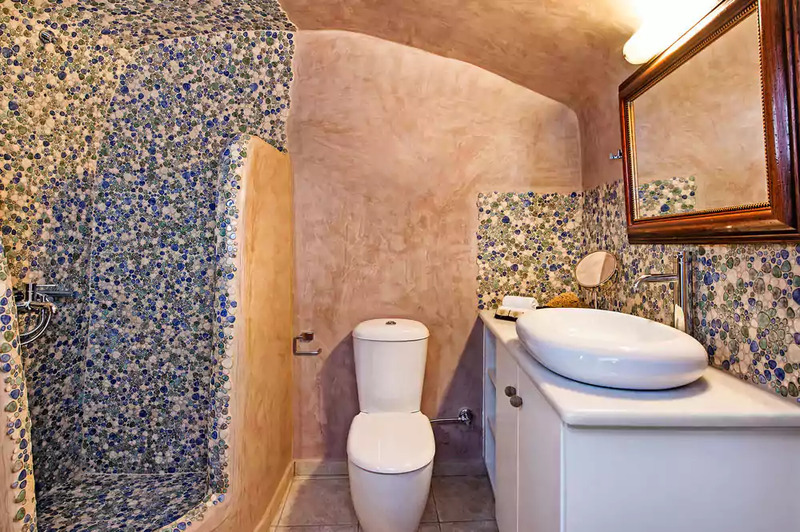 3 Bedroomed villa with 2 bathrooms, one is en-suite. 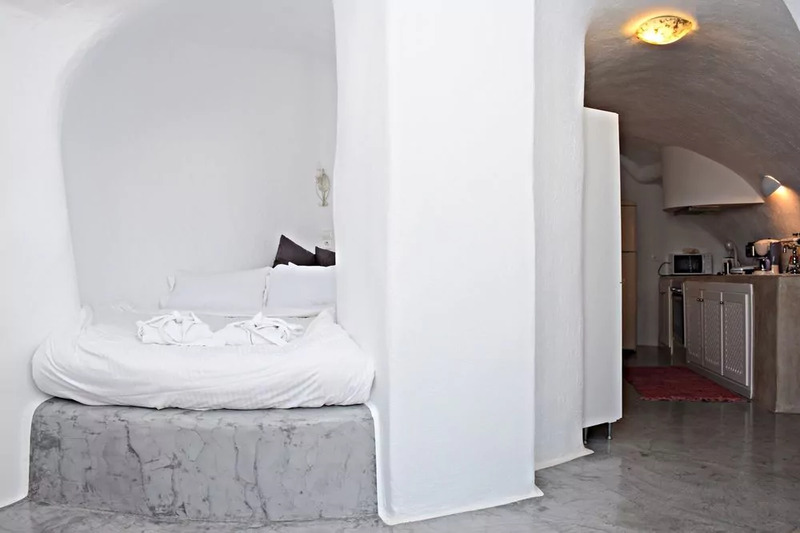 I bedroom with king size bed and en-suite bathroom. 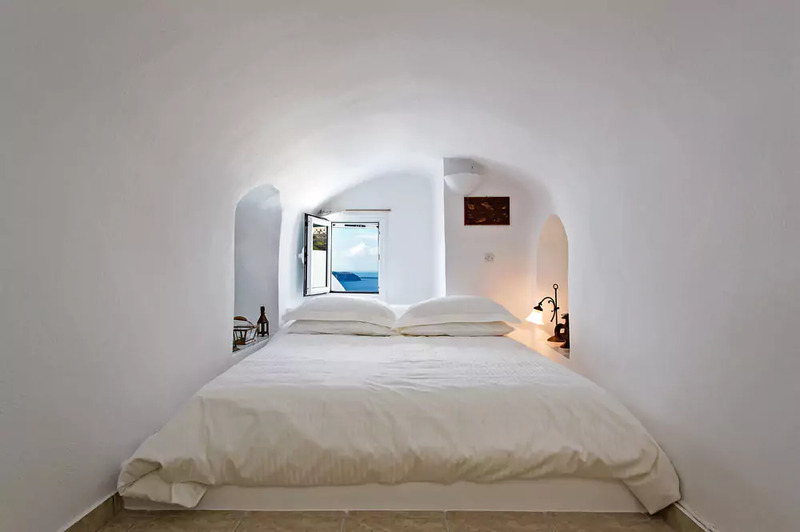 Bedroom 2 is a cave bed curved into the house for a unique experience. 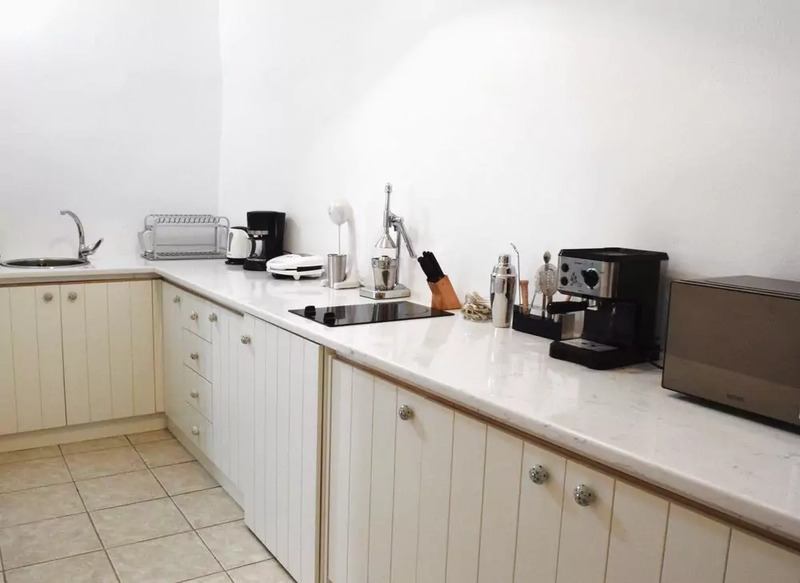 Total living area 80 sqm – Terrace 40 sqm. 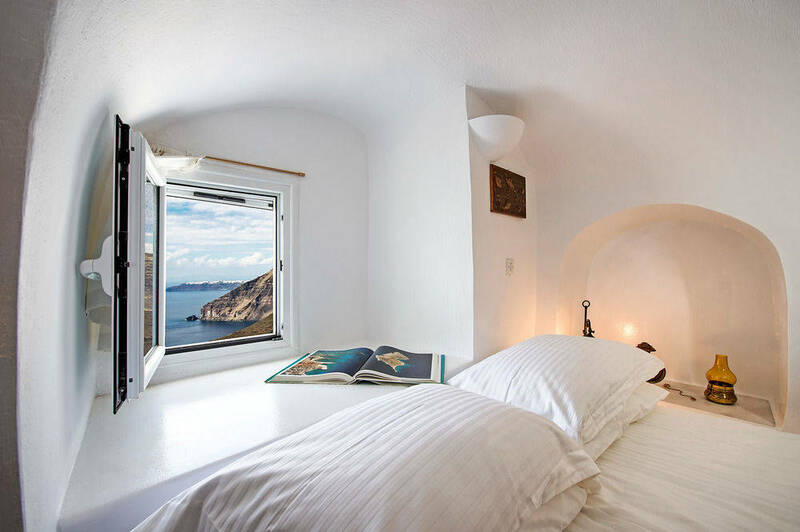 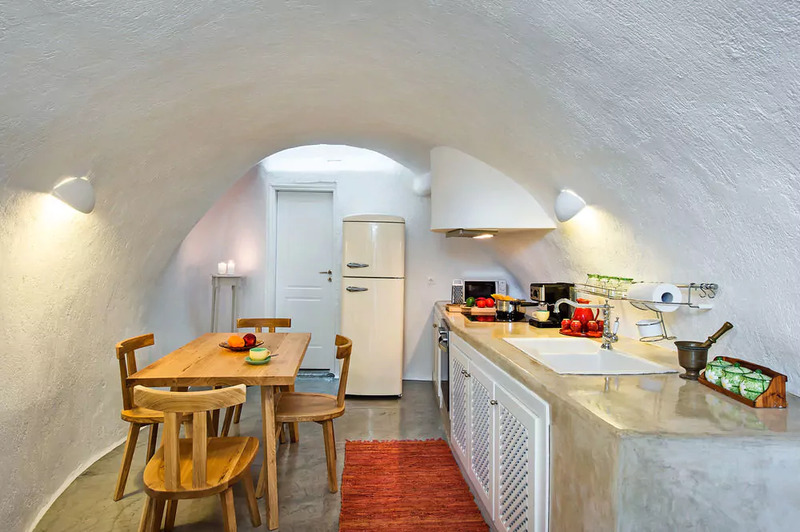 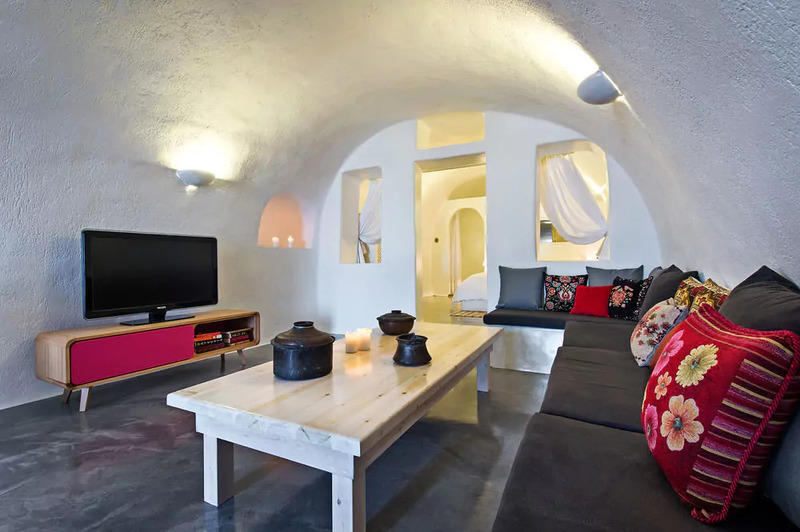 Revelis Villa and Canava cave house offer very comfortable accommodation close to the main pedestrian area of Fira, they can be booked individually or together making them ideal for groups up to 11 people. 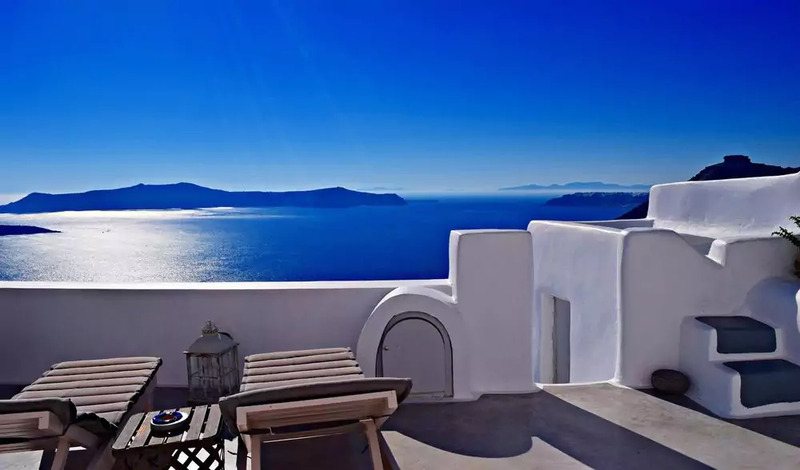 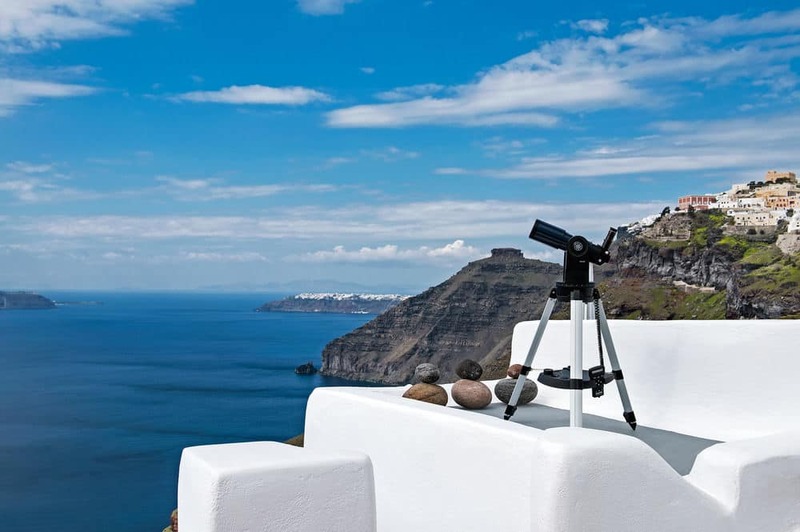 Lovely views of the Caldera and shimmering Aegean sea from each of the private terraces, lovely spot!